← Jeremiah and the prophetic mission in the Indian context. 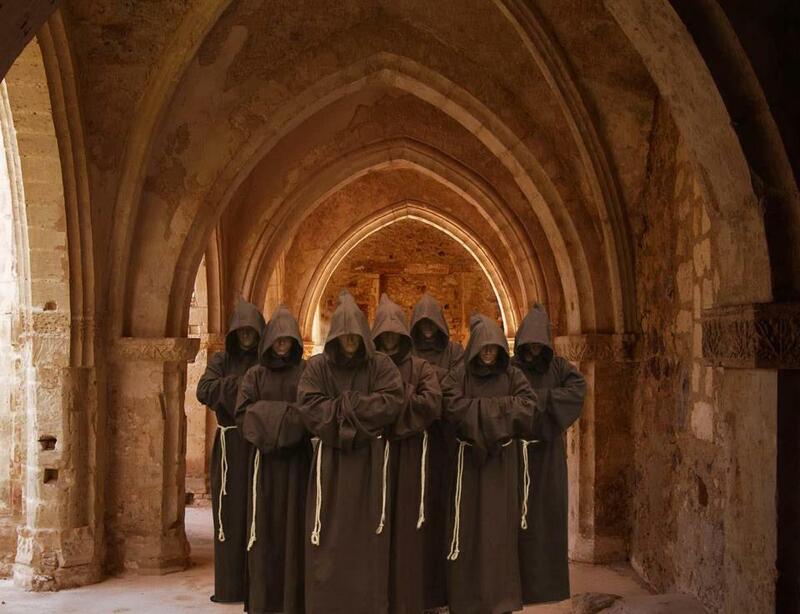 The existence of the Friars Minor or first order properly dates from 1209, in which year St. Francis obtained from Innocent III an unwritten approbation of the simple rule he had composed for the guidance of his first companions. This rule has not come down to us in its original form; it was subsequently rewritten by the saint and solemnly confirmed by Honorius III, 29 Nov., 1223 (Litt. “Solet Annuere”). This second rule, as it is usually called, of the Friars Minor is the one at present professed throughout the whole First Order of St. Francis (see RULE OF SAINT FRANCIS). The foundation of the Poor Ladies or second order may be said to have been laid in 1212. In that year St. Clare who had besought St. Francis to be allowed to embrace the new manner of life he had instituted, was established by him at St. Damian’s near Assisi, together with several other pious maidens who had joined her. It is erroneous to suppose that St. Francis ever drew up a formal rule for these Poor ladies and no mention of such a document is found in any of the early authorities. The rule imposed upon the Poor Ladies at St. Damian’s about 1219 by Cardinal Ugolino, afterwards Gregory IX, was recast by St. Clare towards the end of her life, with the assistance of Cardinal Rinaldo, afterwards Alexander IV, and in this revised form was approved by Innocent IV, 9 Aug., 1253 (Litt. “Solet Annuere”). (See POOR CLARES). Tradition assigns the year 1221 as the date of the foundation of the Brothers and Sisters of Penance, now known as tertiaries. This third order was devised by St. Francis as a sort of middle state between the cloister and the world for those who, wishing to follow in the saint’s footsteps, were debarred by marriage or other ties from entering either the first or second order. There has been some difference of opinion as to how far the saint composed a rule for these tertiaries. It is generally admitted, however, that the rule approved by Nicholas IV, 18 Aug., 1289 (Litt. “Supra Montem”) does not represent the original rule of the third order. Some recent writers have tried to show that the third order, as we now call it, was really the starting point of the whole Franciscan Order. They assert that the Second and Third Orders of St. Francis were not added to the First, but that the three branches, the Friars Minor, Poor ladies, and Brother and Sisters of Penance, grew out of the lay confraternity of penance which was St. Francis’s first and original intention, and were separated from it into different groups by Cardinal Ugolino, the protector of the order, during St. Francis’s absence in the East (1219-21). This interesting, if somewhat arbitrary, theory is not without importance for the early history of all three orders, but it is not yet sufficiently proven to preclude the more usual account given above, according to which the Franciscan Order developed into three distinct branches, namely, the first, second, and third orders, by process of addition and not by process of division, and this is still the view generally received. As regards the Second Order, of Poor ladies, now commonly called Poor Clares, this order includes all the different monasteries of cloistered nuns professing the Rule of St. Clare approved by Innocent IV in 1253, whether they observe the same in all its original strictness or according to the dispensations granted by Urban IV, 18 Oct., 1263 (Litt. “Beata Clara”) or the constitutions drawn up by St. Colette (d. 1447) and approved by Pius II, 18 March, 1458 (Litt. “Etsi”). The Sisters of the Annunciation and the Conceptionists are in some sense offshoots of the second order, but they now follow different rules from that of the Poor Ladies. Secular. The third order secular was founded, as we have seen, by St. Francis about 1221 and embraces devout persons of both sexes living in the world and following a rule of life approved by Nicholas IV in 1289, and modified by Leo XIII, 30 May, 1883 (Constit. “Misericors”). It includes not only members who form part of logical fraternities, but also isolated tertiaries, hermits, pilgrims, etc. New Foundations. In addition to this third order regular, properly so called, and quite independently of it, a very large number of Franciscan tertiary congregations — both of men and women — have been founded, more especially since the beginning of the ninteenth century. These new foundations have taken as a basis of their institutes a special rule for members of the third order living in community approved by Leo X. 20 Jan., 1521 (Bull “Inter”). Although this rule is a greatly modified by their particular constitution which, for the rest, differ widely according to the end of each foundation. These various congregations of regular tertiaries are either autonomous or under episcopal jurisdiction, and for the most part they are Franciscan in name only, not a few of them having abandoned the habit and even the traditional cord of the order. This entry was posted in Uncategorized and tagged First order, Sencond Order, St Francis, Third Order. Bookmark the permalink.